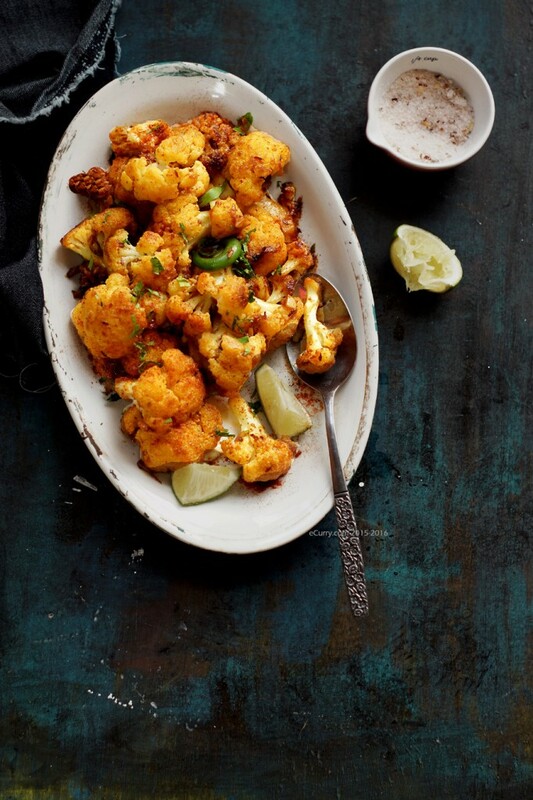 Cauliflower with intense flavor of garlic. As simple as that. Spices are optional. A lot of garlic is required. It is one of those simple, “decide on the last moment” kind of recipes. 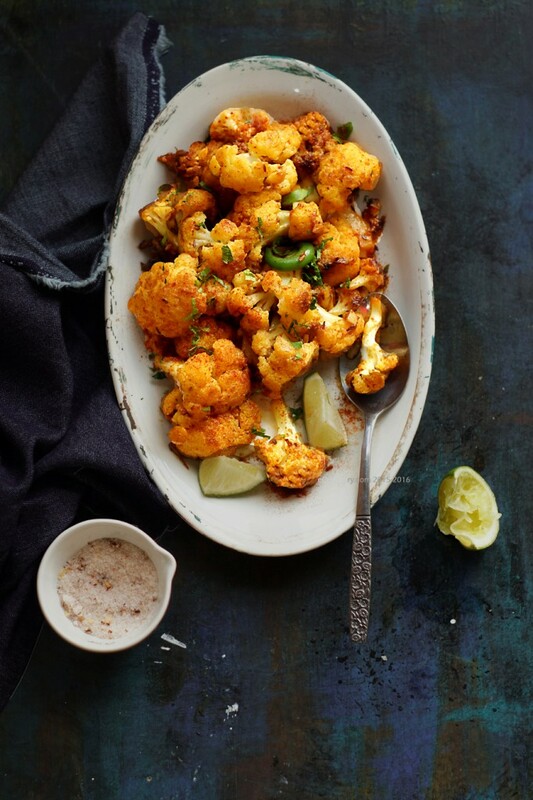 Cauliflower is a well loved vegetable in our home. There can be so much done with it. This is not a “curry”; even though there are Indian concepts of cooking and flavors involved here. The dish may be served as a side or as an appetizer. The garlic and chilli mix coats the florets and infuses the strong aroma as it cooks. … a subtle and undemanding recipe. Wash and break/cut up the cauliflower head in to small florets. Sprinkle a teaspoon of turmeric and half teaspoon salt, toss for the spices to roughly coat the florets and allow them to sit for about 15 minutes. Combine chili garlic paste, 1/2 teaspoon salt, and the rest of the turmeric powder with 1/4-1/2 cup water and set aside. Heat oil in a large pan: possibly large enough to hold all the florets in a single layer while cooking. Add the cumin seeds if you are using them, to the hot oil. 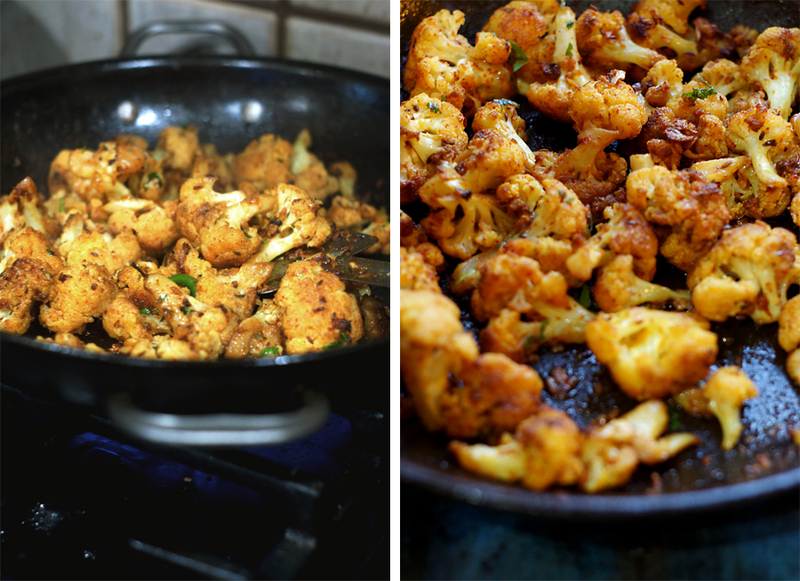 When they sizzle, add the slit chilli peppers and then the cauliflower florets. Toss for the oil to coat the florets, and cook at high heat while tossing once in a while for about 2-4 minutes or until the florets start getting golden brown spots on them. Now stir the chili garlic mix and pour it in the pan. Toss quickly for it to spread evenly. 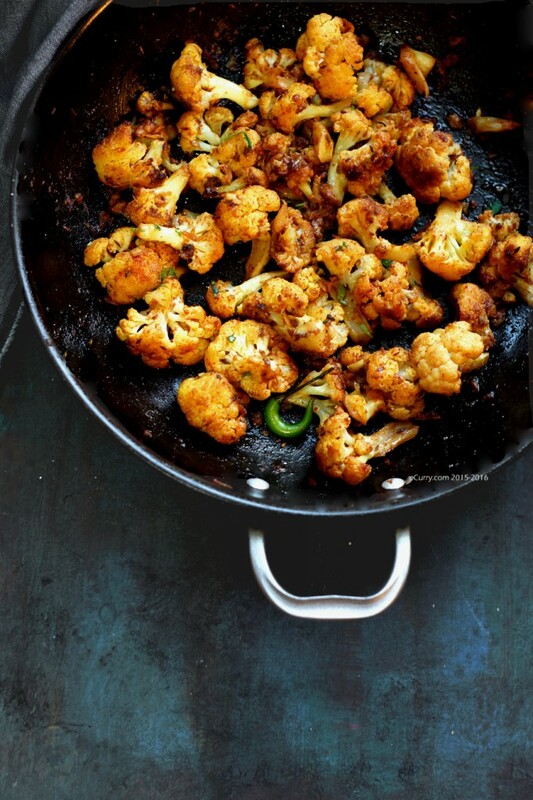 Cook at medium to low heat until the cauliflower is almost cooked through. It will not be white anymore. Instead it will have a translucent look. Do not overcook it. The cooking time until this point will depend on the cauliflower and heat adjustment. Mine finished cooking in about 10-12 minutes. Once almost done, increase the heat and start tossing all the florets quickly and cooking them. The bottom of the pan will get crusty so stir and toss often, but carefully so you do not break the florets. It will seem that everything in the pan have started to brown and caramelize. There will be no sauce. It is going to be a completely dry dish with the florets tender but not mushed or broken. They are going to be all separate. 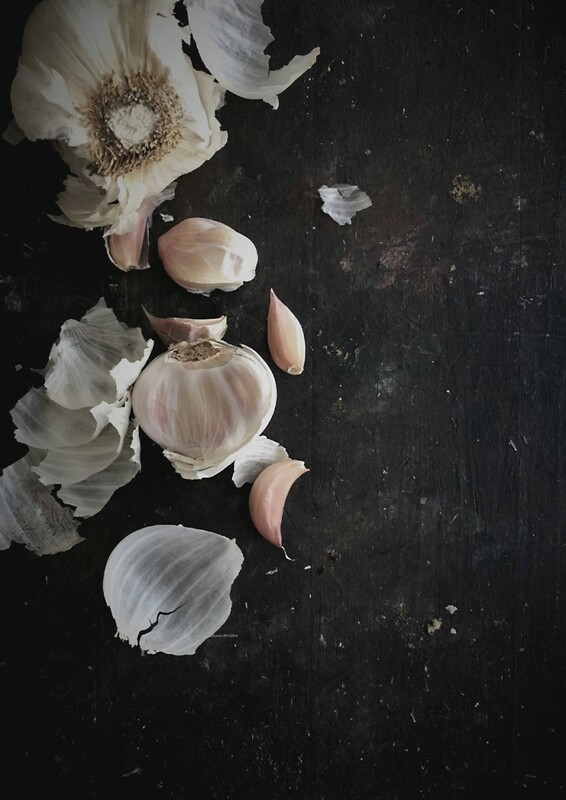 When you are done, each floret will have infused the garlic flavor. Adjust salt. Finish off with freshly squeezed lime or lemon juice. Serve hot as a side. This is way beyond delicious! The only tweak I made was to roast the cauliflower in the oven, so I could fit two large heads into the cookig pan. I served it with hot buttered naan and raita and the dish was gone in 60 seconds. Thank you! This dish looks delicious. I love the spices and garlic combination. The pictures are beautiful as well. I’m definitely going to have to give this a try. Thank u you for sharing..